An idyllic setting overlooking Caledon’s magnificent parkland and the Oak Ridges Moraine. This newly renovated venue combines country charm with city elegance. 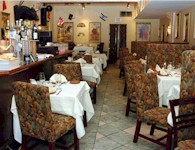 Our superb menu offers North American and European cuisine with professional, courteous service. 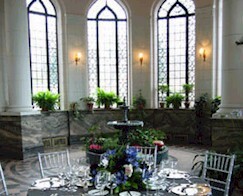 Whether it is a romantic dinner for two in the Estate Dinning Room or a gala for 320 guests in the Estates Ballroom. Caledon Estates is truly your perfect choice. Housed in 1830-era McCarty Stone Canadian Farmhouse. Recently renovated. In-house catering. Experienced event planners on staff. Georgian-style mansion was built in 1822; now managed by The Advocates Society. Front porch, gardens and elegant winding staircase provide backdrops for photographs. Catering provided by 1055 Restaurant & Catering. 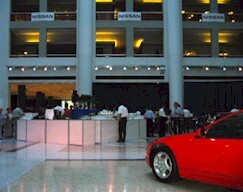 Barbara Frum Atrium hosts public and private events. Experienced event coordinators on staff. Includes bridal dressing room. Catering to all nationalities. 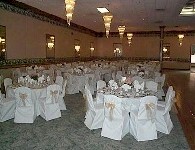 Beautifully renovated banquet hall. Marble floors, crystal chandeliers. Member of Oliver Bonacini Restaurants. 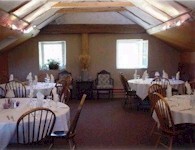 Has private dining rooms available at any time; Main Dining Room can be booked on Saturdays and Sundays. Customized bar is set up in room for groups of 40 or more. 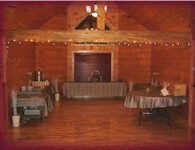 Offers full service catering with choice of several banquet rooms. Banquet rooms hold up to 220 guests and offer scenic views, soaring cathedral ceilings, floor-to-ceiling windows and wood-burning fireplaces. In-house catering available. Club also has four meeting rooms. nspired meetings happen in the Carlingview Room. With natural light, high ceilings and space for up to 40 people, this room is ideal for board meetings, seminars and events. The Carlu, located downtown Toronto, has quickly become the “it” place to host stylish and elegant events for corporate, social and cultural celebrations. 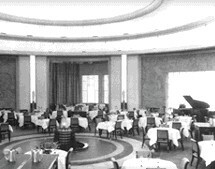 A National Historic Site famed for its Art Moderne design, this meticulously restored event space includes the Round Room, the Concert Hall, Clipper Rooms and Sky Room. The Carlu’s world class architecture is complimented by their unparalleled service which ensures the consistent delivery of unforgettable occasions every time. 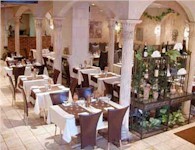 Specializes in fresh Italian and Mediterranean market cuisine. 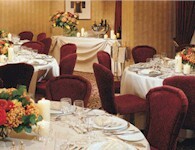 Can accommodate up to 100 guests for private events. 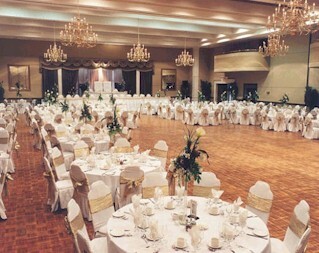 Three ballrooms can be combined to hold up to 1,150 guests. 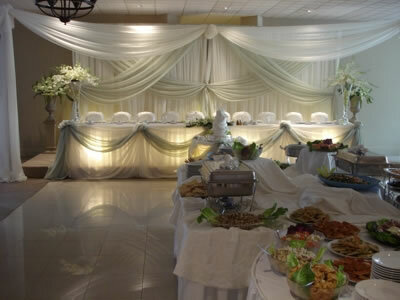 Features Italian decor and ambiance; offers Indo-Pakistani wedding packages in addition to European. Extensive landscaped gardens. Wedding specialists on staff. New family winery offers Special Events Loft for private functions. All inclusive packages. We offer a wide variety of wedding packages for all price points. Our Garden Room is the perfect backdrop for any event including wedding ceremonies and is located beside our air conditioned banquet hall. 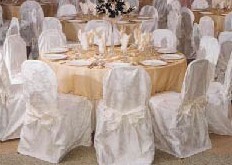 Professional staff are present during functions and a bridal room is available. We also offer outdoor weddings and photography settings. Contact our wedding coordinator today if you are interested in arranging a tour. Our beautifully appointed meeting & banquet facilities at the Cartier Place Suite Hotel in Ottawa, Ontario are conveniently located off the lobby and have floor to ceiling windows with a garden view. Our Mezzaluna Restaurant can create a special menu for your meetings or any occasion. Specializes in Spanish cuisine. Available for wedding receptions and other special events. Live entertainment (guitar, flamenco and belly dancing, etc.) available. Construction of former home of Sir Henry Pellatt began in 1911. Now owned by City of Toronto and operated by Kiwanis Club. Can accommodate groups of 125-1,200. Large landscaped gardens for photography. In-house catering available. An invitation to your Ideal Wedding is now at your fingertips! Host your special day at Casablanca Winery Inn. Give yourself away to our professionals and relish in the planning process. Our property features several beautiful spaces for your Engagement Party, Bridal Shower, Rehearsal Dinner, Wedding Ceremony and Dinner or Cocktail Reception with options for a convenient and delicious Farewell Brunch the following morning.